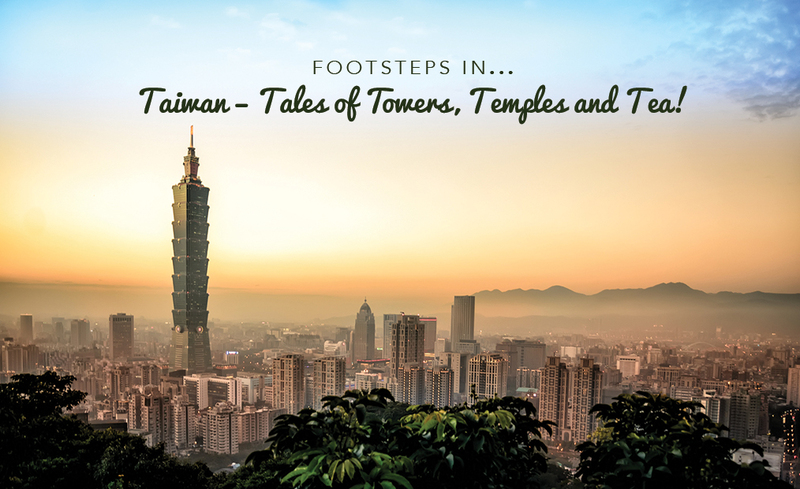 Footsteps in Taiwan…Tales of Towers, Temples and Tea! Given that we had come as far as Hong Kong, M and I thought that the perfect tag on and subsequent end to our Asian adventures thus far would be visiting Taiwan. 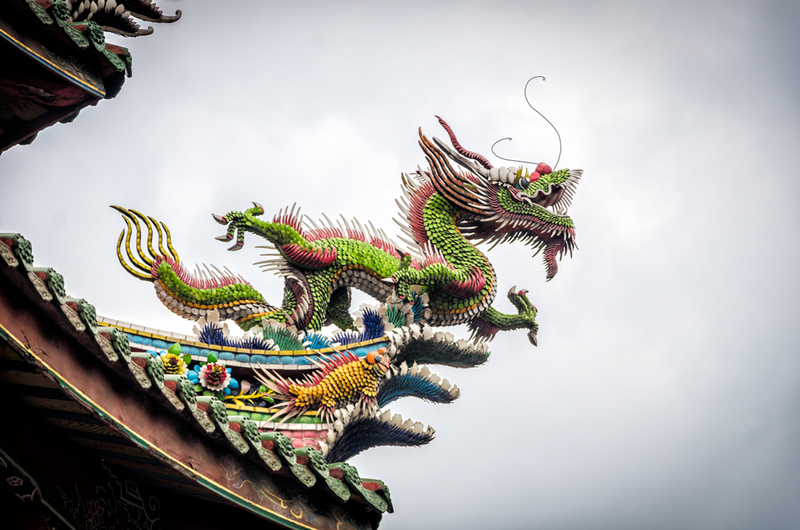 You may wonder why Taiwan…well, this Wanderlusting couple has a penchant for exploring far off lands in a bid to inspire, through my musings and M’s photography and Taiwan has some of the most picturesque places in this region of Asia. 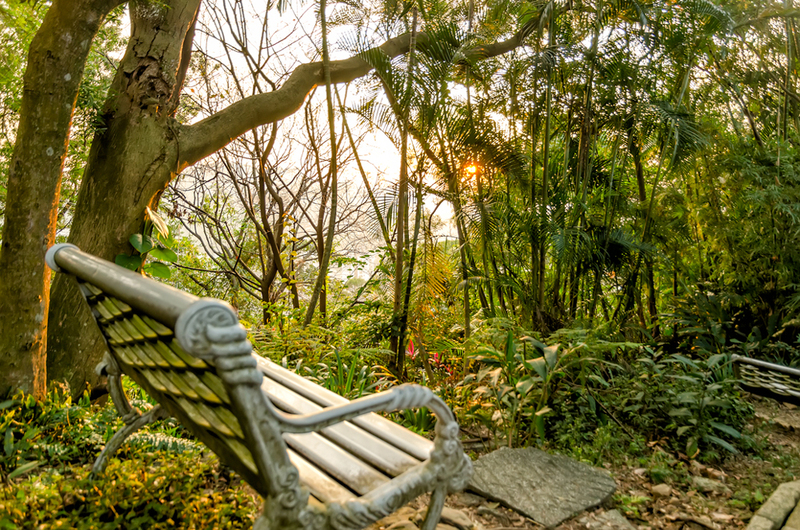 A mere hour’s plane ride away from Hong Kong, it fit the bill of a short break from the hustle and bustle of Hong Kong perfectly before we headed back home to Kenya. So, what is there to do in Taiwan? Other than being home to “Hello Kitty” it is also home to what was once the world’s tallest building and picturesque landscapes. As M and I only had a couple of days, we focused on Taipei and its neighbouring regions with Taipei as our base. Let’s explore, shall we? 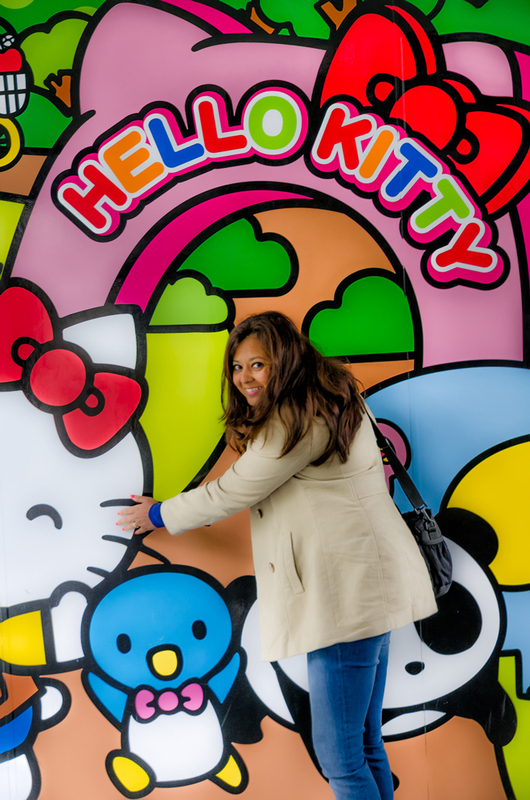 The Land of Hello Kitty! 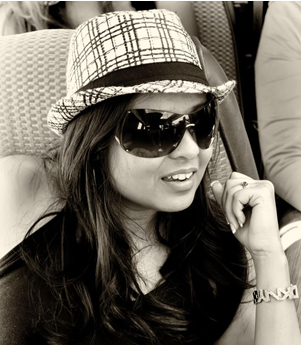 Photography is the one medium that captures a moment and freezes it in time forever. 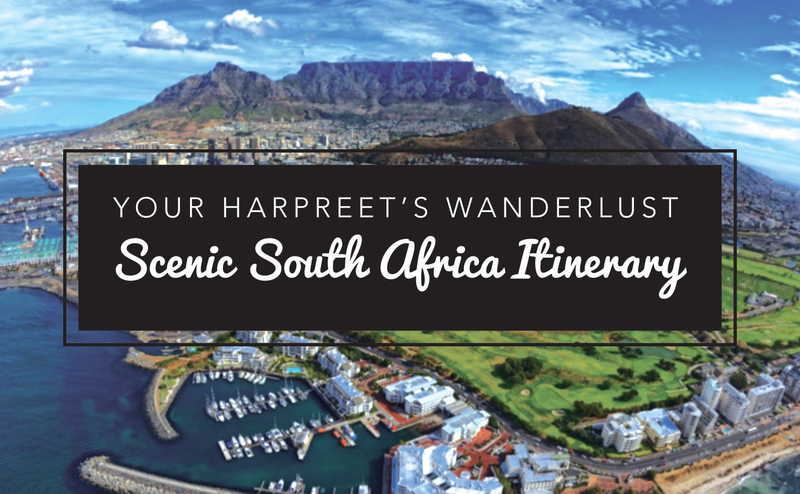 In our travels, M and I have taken many an epic shot to not only serve as memorabilia for us, and grace this blog and the walls of our home but also to inspire people to visit these places and experience these moments for themselves. But, an epic shot means two things: finding that “perfect spot” and a spoonful and then some of patience. 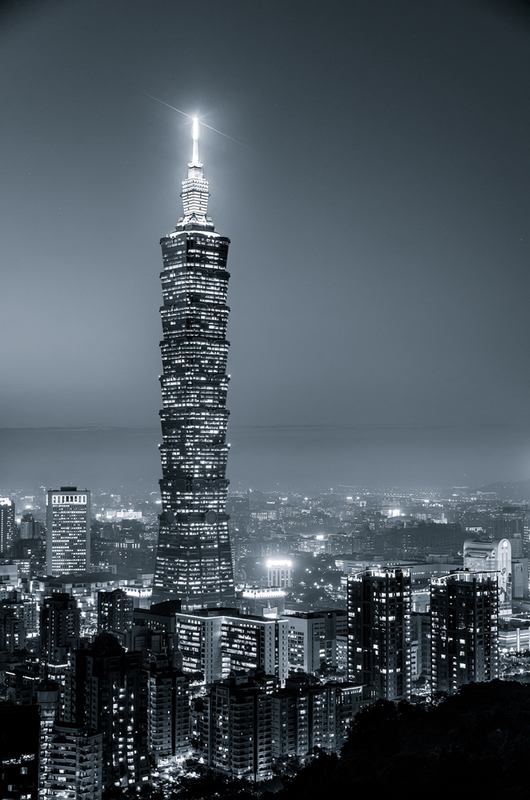 Taipei is synonymous with Taipei 101, which was once upon a time the highest building in the world before it was dethroned by the Burj Khalifa in 2009. 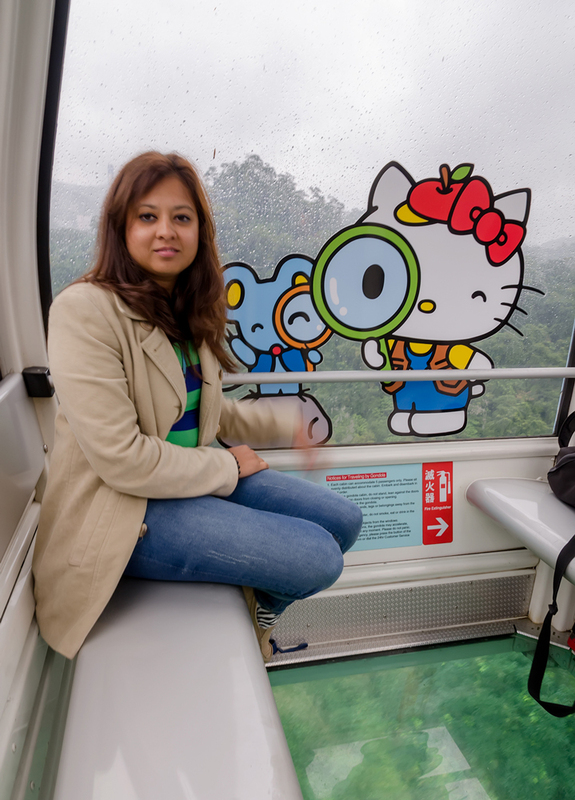 In our research on getting THAT ahhh-mazing shot we read that the ideal place to indulge in a panoramic view and click a postcard picture of the tower was from Elephant Mountain. And so, on our first evening in Taipei we headed to Elephant Mountain, and hiked up the trail which consists mostly of steps up to a wooden viewing platform (where I almost gave up) but then persevered a little further up towards large boulders which it would appear are the pinnacle and haven for photographers and had the most awesome view of Taipei 101 that I could imagine. 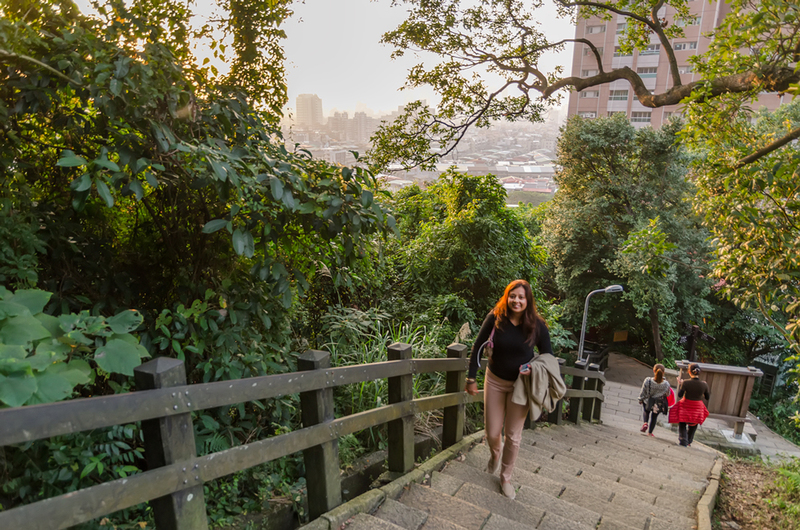 I was almost beginning to believe stairs were the bane of this trip because we just couldn’t seem to escape them..and I was instantly reminded of my tribulations when climbing the 600 something steps up to the 1000 Buddha Monastery in Hong Kong! But, I can tell you dear readers that the view from the top of the mountain was worth every aching muscle because there really was something magical about watching the day turn into dusk and the twinkling lights of Taipei start to come on, with the bamboo shaped Taipei 101 rising regally into the twilight sky, being the jewel in this crown’s skyline. 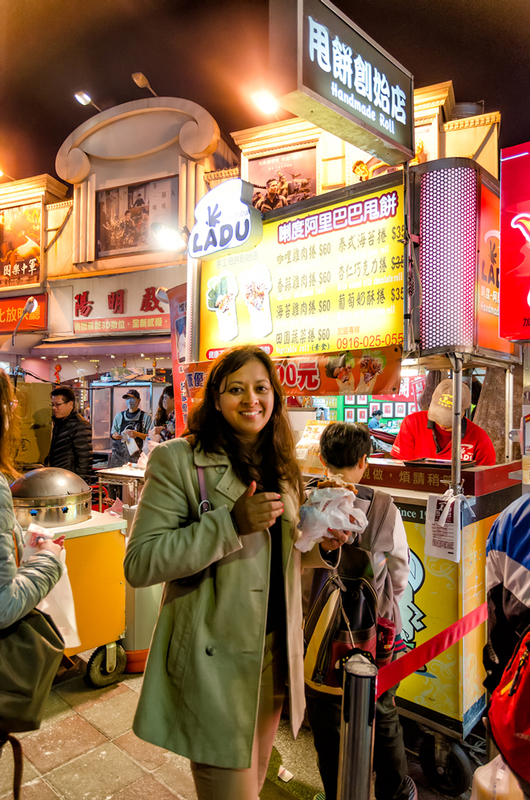 What would a trip to Asia be without prancing around night markets and experimenting with street food? I love my luxurious experiences but am equally excited about wandering around markets, soaking in the culture and oogling at all the food and items on display. 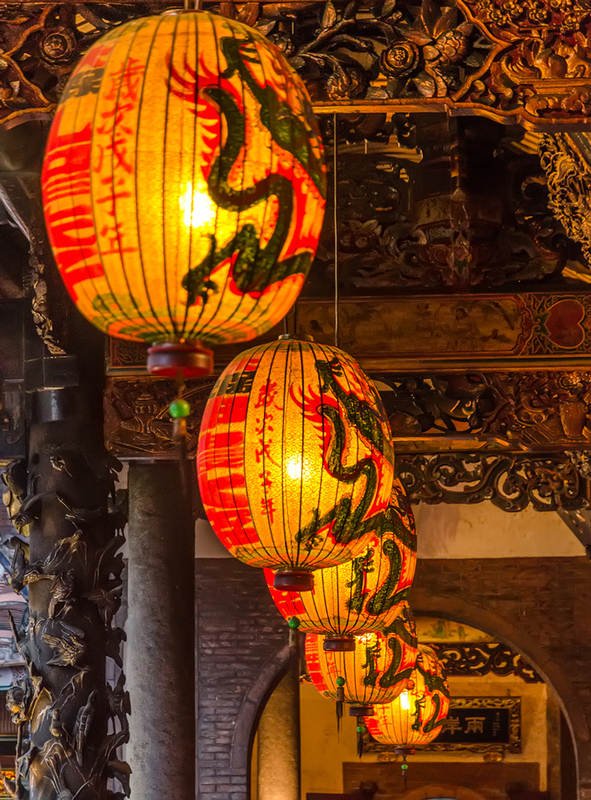 Taipei has a vibrant night market (if you stay away from Snake Alley that is) with a maze of alleyways decked with local and international goodies and a bustling food court. 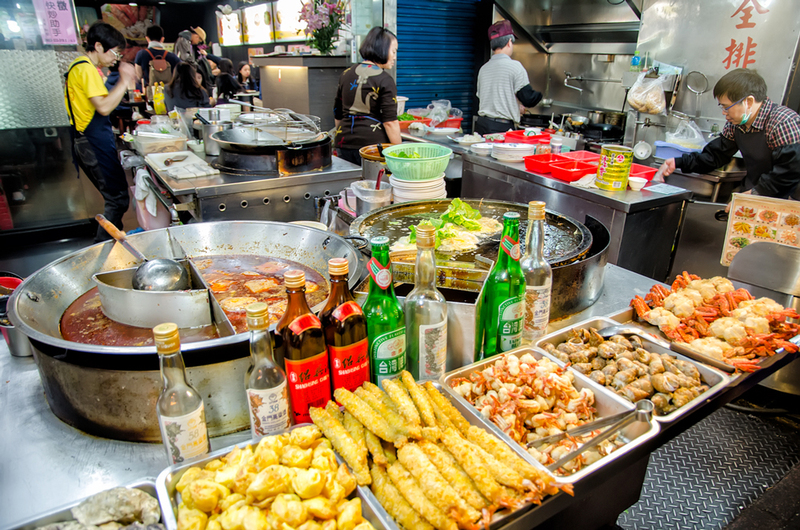 What is particularly beguiling is the street food that is cooked as you watch on the actual street side of the market (as opposed to the food court in the main market). Jeff our driver and guide told us what not to miss and he wasn’t wrong! Taiwan is known for their giant fried chicken steak, oyster omelets, bubble tea and the notorious stinky tofu, which we did not fancy trying! True to its name, the giant crispy fried chicken was giant enough that M and I couldn’t finish it, and was crispy and delicious enough to give KFC a run for its money. The oyster omelet was fishy and eggy and all the tastes you would associate with such a dish, and I cannot say that I was the biggest fan of bubble tea which was milky and had these giant tapioca balls which you sucked up with the liquid. I don’t think this stuff tastes of very much but I may be wrong; it is just a question of taste, really! 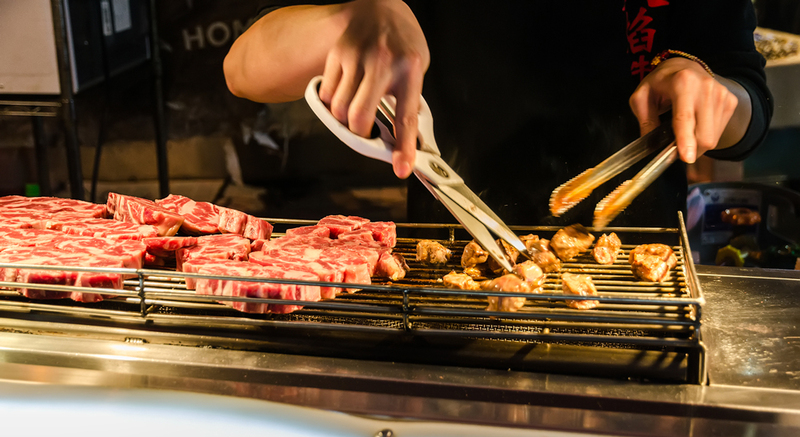 My absolute favourite dish had to be the delicious marbled wagyu beef steak, grilled to a melt in the mouth medium perfection right on a street side barbeque grill and devoured as soon as it was served with nothing more than a pinch of salt. Mmmm. My mouth waters as I reminisce and type this..if you are ever in Taipei, don’t miss out on this amazing experience especially if you are a foodie and want to get a “Taste of Taiwan”! 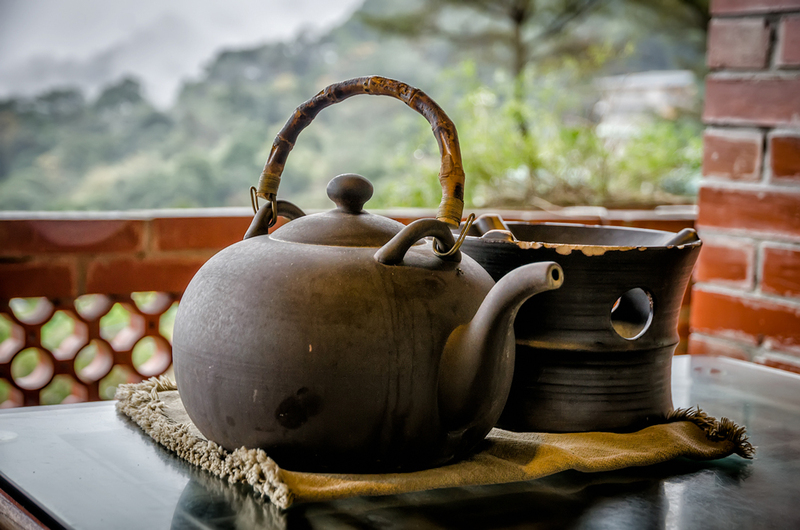 Believe it or not, the tea culture in Taiwan is incredibly rich and the local mountain villages north of Taipei are studded with bucolic tea plantations, as this country produces some of the best Oolong tea in the world. 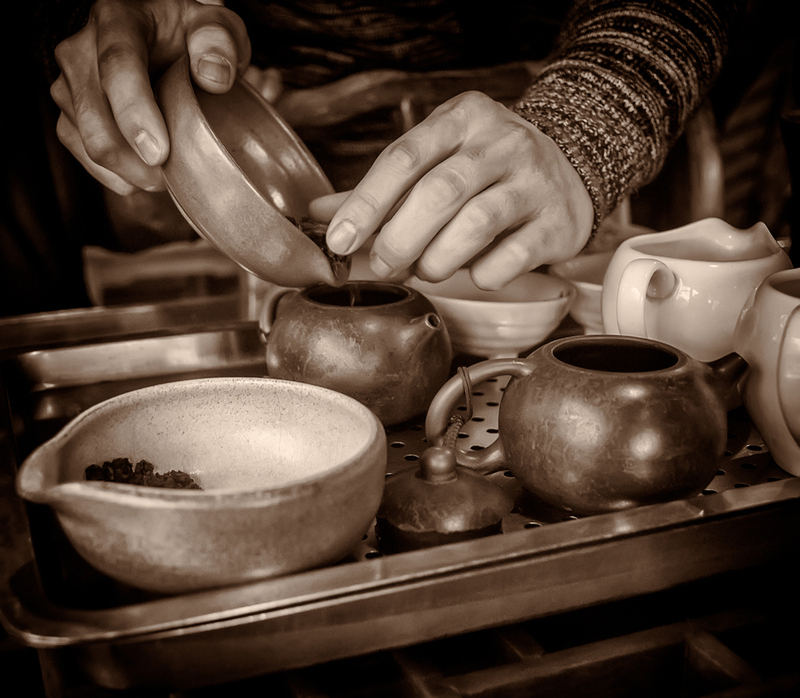 Given that I’m a tea girl through and through and I need no excuse to brew myself a cuppa, the idea of ambling around tea plantations and partaking in a tea ceremony in the MaoKong tea region was rather appealing to say the least! As it so happened, the morning we chose for this tea ceremony was shrouded in mist and wintery cold, which in my book automatically translated into the perfect ambience to indulge in a steaming hot cuppa or three! Jeff, our driver dropped us at the entrance to the Maokong Gondola and we were lucky enough to hop into a crystal cabin for the 25 minute ride up to the village, where he would meet us with the car. We ascended into the lush, green tree studded mountains in our Hello Kitty cabin amidst the drizzle and on arrival in MaoKong, opted to head straight into the Red Wood House because my teeth were chattering with the cold and I couldn’t wait to get stuck in with this ceremony. Back at home and largely depending on my mood, I will more often than not pop a teabag into a mug but when I feel like indulging in a really good cuppa I will either steep some tealeaves in a pot for a good old fashioned English brew, or make proper Punjabi masala tea on the stove with spices and a tonne of milk (and sugar). 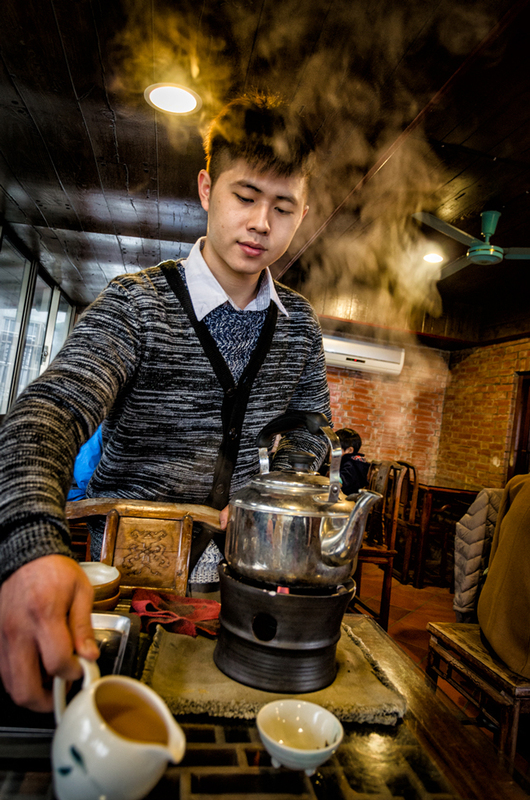 Believe it or not: most Taiwanese serious tea drinkers would consider this sacrilege! 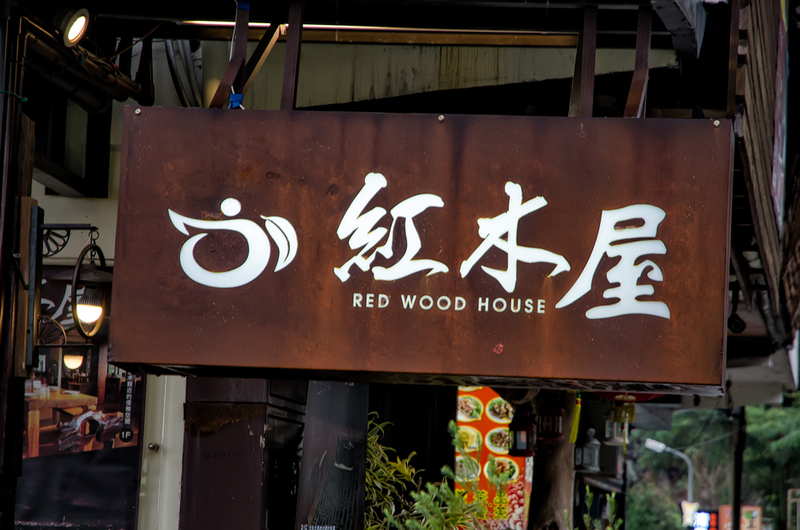 As was quite evident from the tea houses in MaoKong, which were pleasantly filled with locals as well as tourists, drinking tea out here is a leisurely and social affair. A proper tea ceremony must have all the parapernalia which consists of a surprisingly small teapot, with miniature tea cups, a tea tray, pitcher, strainer and tongs. You know by now that M and I cannot bypass a temple whilst traipsing around Asia. Were we Buddhist in a past life? Perhaps. Though I am convinced I was Italian, wink wink! 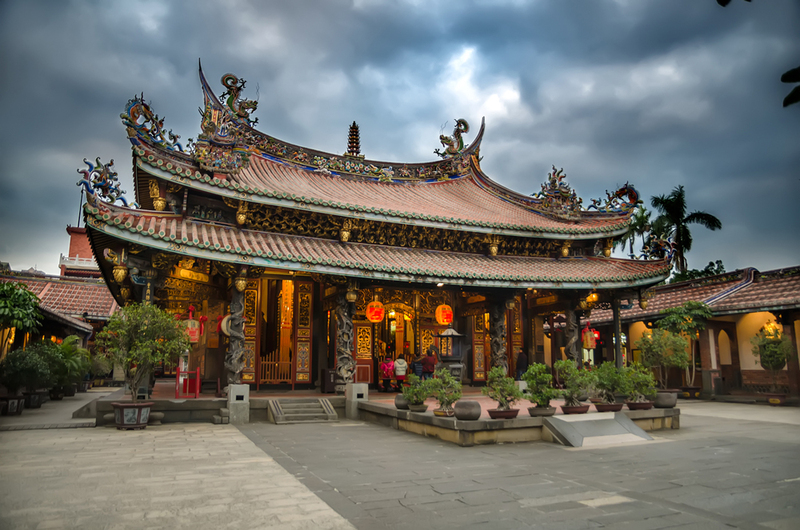 If you enjoy perambulating around temples and gazing at the intricate carvings adorning the structure, or simply enjoy the ambiance in such places then this certainly is a temple that I would highly recommend you visit, if only to immerse yourself into the religious culture of Taiwan. 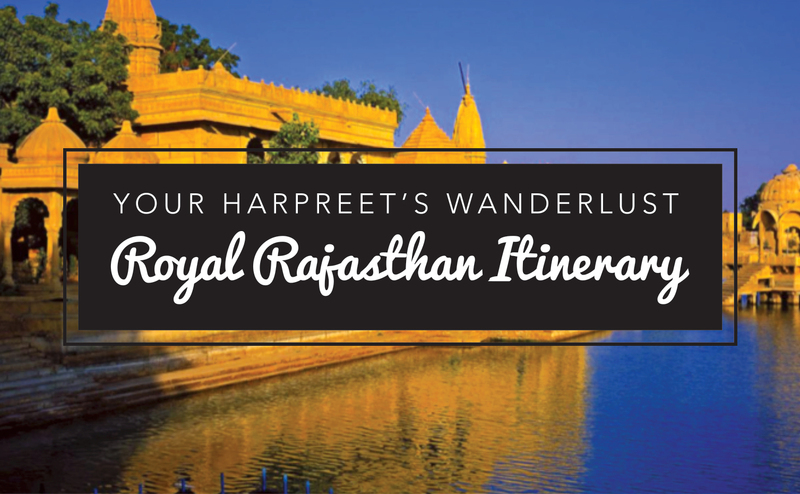 Ill tell you what fascinated me about this particular temple – yes, you had the masses of worshippers clasping their hands and fervently whispering prayers to the Heavens above amidst the thick smoke curling out from the incense sticks in their hands. You had those kowtowing and praying. Then you had those that took these curved blocks with inscriptions on them from a jar, shook them in clasped hands like you would lucky dice whilst whispering their wishes, and then threw them on the floor watching with keen interest and almost fervent hope as to how they landed – face up or down. And that, my friends is what fascinated me enough to do some more research into this pretty unique manner of worship that I haven’t come across in my travels in setting Footsteps Across The Globe. These pebbles as I thought they were are known as “Divination Blocks” (sounds like something out of Harry Potter) and the idea is similar to that of a “lucky 8” ball. You take two blocks and put them in clasped hands, ask the Heavens a question and invoke divine intervention. Then you shake your hands and toss the blocks onto the floor. Your answer supposedly lies in how the blocks land on the ground. A block with the flat side up and the other with the rounded side up means yes. Both with the rounded side up is a No, and two flat sides up means ask again because the answer is uncertain. Pretty amazing to see that no matter where in the world we go, wishes and prayers are universal! Of wishes and whispers to heaven! 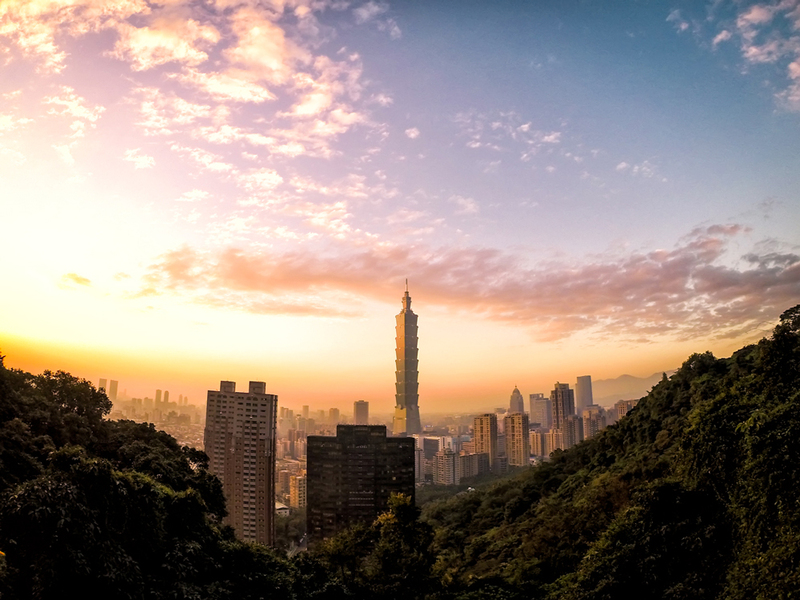 There are many direct flights from Hong Kong to Taipei, which is also well connected with the rest of the world. We flew to Taipei on Hong Kong China Airline and back to Kenya via Dubai on Emirates. Closest MRT Station: Taipei Metro Xiangshan Station. There is no entrance fee for Elephant Mountain. The trail is very clearly marked and you don’t need a guide. The hike itself depends on your fitness level and takes anything between 15-30 minutes to the top. It includes lots of stairs! 10 or so minutes into your hike you will come across a landing area with restrooms where the path branches off in multiple directions. Remember to take a left here and continue on up to the viewing deck. It is advisable to go early as this place is VERY popular with both locals and photographers and you may find yourself scrambling to get a good spot amidst the tripods and people. 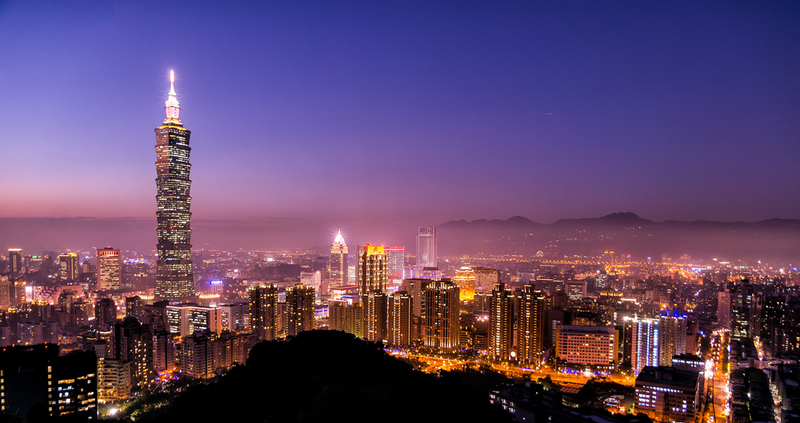 If you want that epic sunset/night shot of Taipei 101 then come and stake out your spot in the early evening. 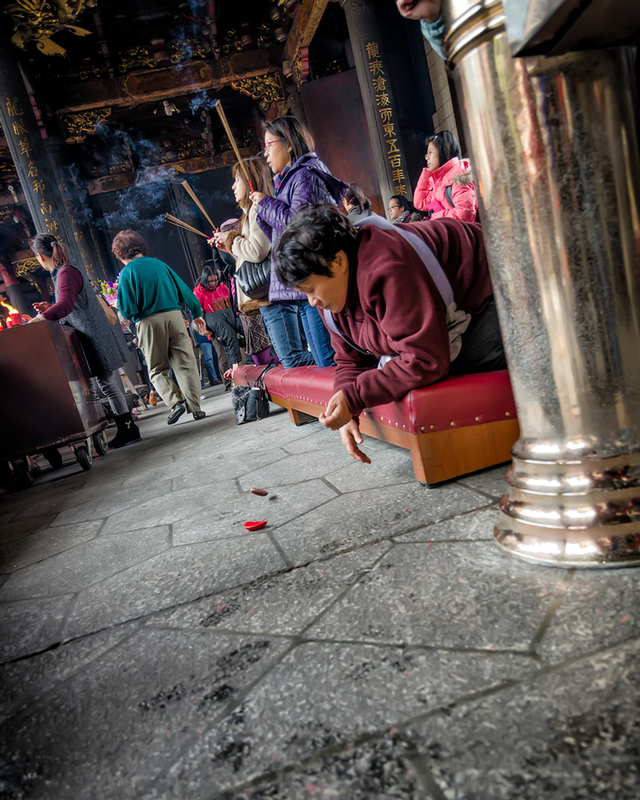 This temple is situated just outside Songshan MRT station and the gate of the Raohe Night market. There is no entry fee but you can buy joss sticks for a couple of Taiwanese dollars. Oh I would love to go to Taiwan!! You would love it B!